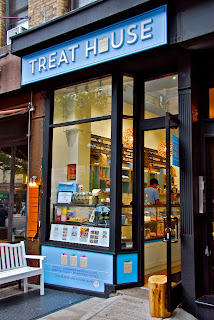 The Weekend Gourmet: The Weekend Gourmet Hits the Road...Featuring New York's Upper West Side & a Treat House GIVEAWAY! 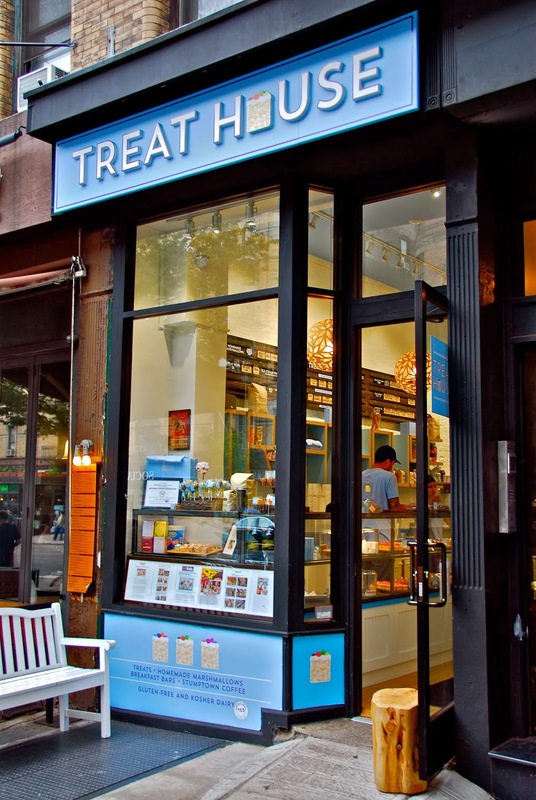 The Weekend Gourmet Hits the Road...Featuring New York's Upper West Side & a Treat House GIVEAWAY! Today, I’m going to spotlight one of my very favorite neighborhoods in New York: The Upper West Side (UWS). If you've never visited this part of the city, I hope you'll plan at least an afternoon visit to explore the area the next time you're in New York. The UWS is a more residential part of the city, where you'll see lots of gorgeous apartment buildings, strolling families, and adorable dogs. However, the area also has lots of great restaurants and cultural attractions. A few years ago, we decided to live like New Yorkers for a week and rented a studio apartment on the UWS. The apartment was located on W 85th, just a block from Central Park West and 1.5 blocks from a convenient subway station. We absolutely fell in love with the neighborhood, so we always make sure to spend time in this part of the city whenever we visit New York! During our most recent trip last month, we discovered two fantastic new places to eat…and we also visited one of our favorite bakeries. We heard about Jacob’s Pickles online and knew we had to check it out: their motto is Southern Food, With a Twist...and they offer craft beer, house-made pickles and delicious comfort food served in a casual environment? Sounds like a perfect spot to me! We arrived and were warmly greeted and shown to our second-floor table…then the food started coming out. First up was a sampling of their house-made Pickle Jars. We tried the Sour Green Tomatoes, Sweet & Spicy Carrots, Candy Red Beets and Special Sours. All were crisp and flavorful...the perfect start to our meal. Next came fried Fried Pickle Spears with Spicy Red Mayo. The spicy and tangy combo was addictive. As we munched away contentedly, out came THE BEST mac and cheese we’ve ever had, the Mushroom Mac & Cheese. It was rich and creamy, with crunchy melted cheese and a creamy mushroom sauce containing shitake, portabella and king oyster mushrooms on top. 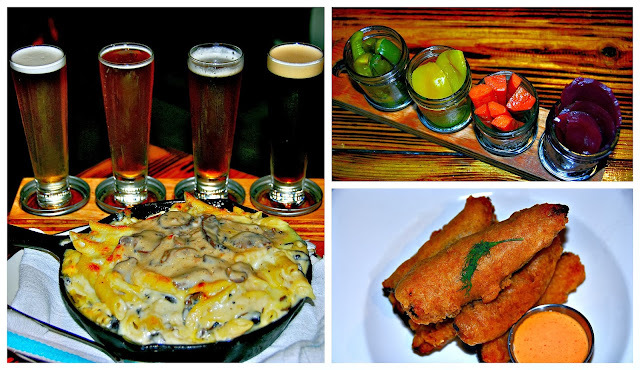 It was served with a sampler of some of their craft beers. We would’ve been content to eat this mac and cheese all afternoon, but more food was heading our way. We shared a Honey Chicken & Pickles Southern Biscuit Sandwich, which this Texas gal gives an enthusiastic thumbs up! As if the sandwich wasn't amazing enough, it was served with creamy cheese grits that tasted just like the South. Then, we pretty much died and went to heaven when we tried Jacob’s Biscuits French Toast topped with gorgeous strawberries. O.M.G. Bless my Southern heart...French toast made with biscuits?!?!? Genius! We were getting really stuffed by then, but we somehow managed to sample their Fried Oreos for dessert…the batter was crispy and light and the Oreos inside were pillow-soft. They were a decadent end to a really fantastic meal. We absolutely loved Jacob’s Pickles and have been enthusiastically telling everybody we met in New York and upon our arrival home in Texas that Jacob’s is a must-visit in New York…the food is great, the atmosphere is casual, and the staff is fantastic. We still dream of that mushroom-topped mac and cheese and will use it to measure all other mac and cheese going forward! 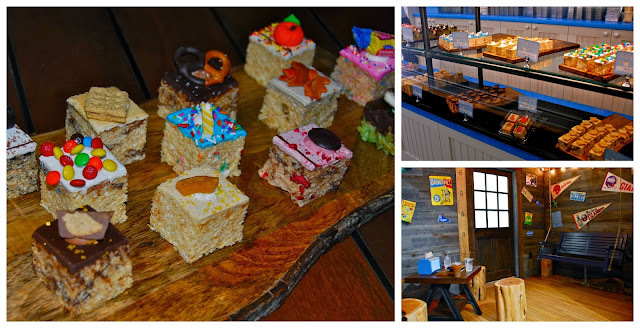 From Jacob’s, we walked two blocks up to check out Treat House, which specializes in adorable – and delicious – rice cereal treats. Think of the cereal and marshmallow treats your Mom made when you were growing up...only on steroids! We met owners Chris and Jennifer Russell, who started their shop a year-and-a-half ago, after gourmet treats they made for a charity bake sale were a huge hit in their neighborhood. One thing's for sure: these aren’t your mama’s treats, my friend! These hand-decorated three-bite treats are made with homemade marshmallows and come in tons of fun flavors, some of which are seasonal. We stopped in to sample their entire treat lineup that day, which included seasonal Fall flavors like Maple Pecan and Pumpkin Spice. All of the treats were great, but my two personal favorites were Chocolate Mint and Caramel Sea Salt. The family-friendly decor reminded me of a cross between a club house and a tree house...welcoming and fun! Treat House makes a perfect 1-2 afternoon combo with Jacob's Pickles because of their close proximity to each other. On our way out, Jennifer gave us one of their gourmet ice cream bars to enjoy on the cab ride back to our hotel. It was a sweet ending to our fabulous visit! We walked around the neighborhood a bit more, then we grabbed a cab to head back to our hotel in Midtown. We love the UWS so much that we headed back up a couple of days later for Sunday brunch at the recently opened second location of RedFarm. 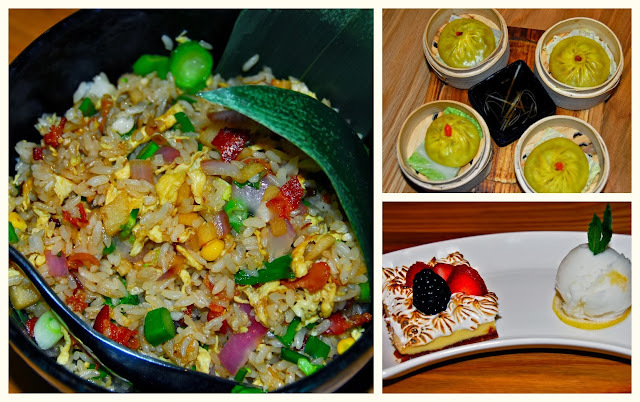 This Asian fusion restaurant’s original location is in the Village, and it’s wildly popular. After visiting this new UWS location, it was easy to see why. We loved the natural light and open feel of RedFarm and quickly decided to share some small plates and a main dish. We had heard about the Katz's Pastrami Eggroll made with Katz’s famous pastrami, so that was definitely a must try. 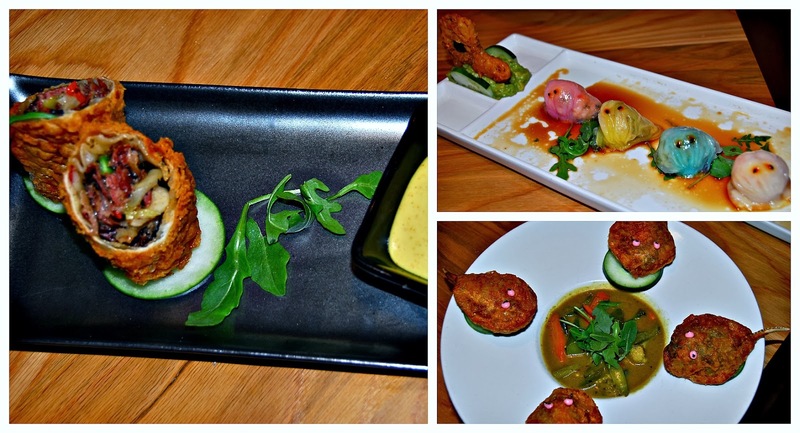 We also selected the Crispy Duck & Crab Dumplings and the whimsical 'Pac Man' Shrimp Dumplings. All of these dishes were delicious …and perfect for sharing. The egg roll was like a familiar egg roll that dropped by a deli on the way to the table! The crispy dumplings were light and flavorful, and the shrimp dumplings were sweet and full of shrimp. For our entrée, we ordered the Nueske's Bacon & Egg Fried Rice. It was smoky from the bacon and full of crunchy veggies and soft-scrambled eggs, making it a perfect brunch dish. For dessert, we shared a fantastic Key Lime Pie with Lemon Sorbet. Both components of the dessert packed a refreshing citrus punch. We’re suckers for sweet-tart desserts, so this light dessert duo was the perfect ending to our brunch. Hint: If you find yourself at RedFarm's UWS location, you’re very close to two NY iconic food destinations: H&H Bagels and Zabar’s Deli. Both are fabulous and well worth a visit…there’s no bagel quite like a NY bagel. Then you can go next door to Zabar’s for amazing flavored cream cheese and/or smoked salmon to pair with your bagel! P.S. If you’re a Trader Joe’s fan without a location in your city, you’re in luck: there’s one within a block of RedFarm. 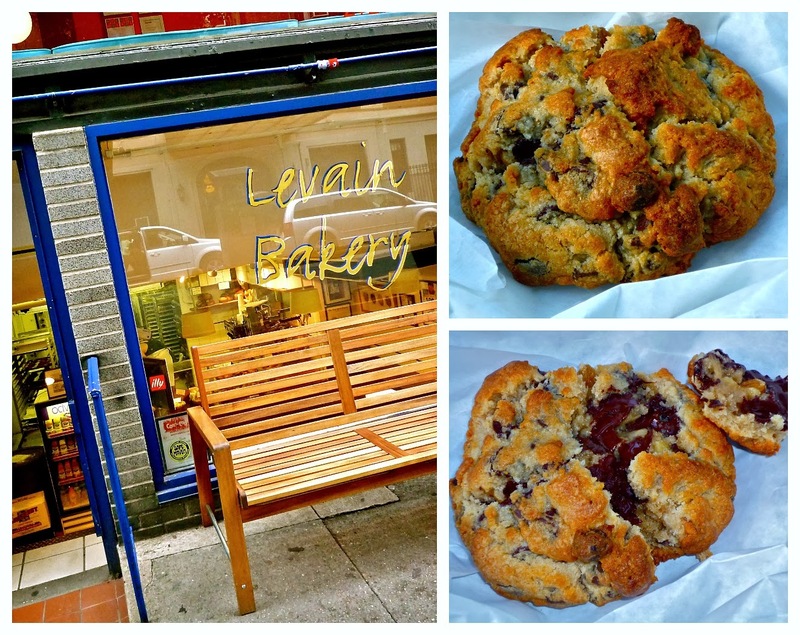 My favorite chocolate chip cookie on the entire planet is also found on the UWS: Levain Bakery. I first visited here on a trip in 2009, and was hooked. I have since converted Michael, so we make a point of stopping by for their to-die-for cookies every trip. Trust me: they’re that good! The lines can be long, but we usually visit in late afternoon and are in and out in 10 minutes. The cookies are HUGE…golden on the outside and cookie dough soft on the inside. Take a look…like I said: To. Die. For. Hint: Levain is cash only, and each huge cookie is $5…so make sure to hit an ATM before you arrive! When visiting the UWS, there’s plenty of activities to keep you busy between meals! 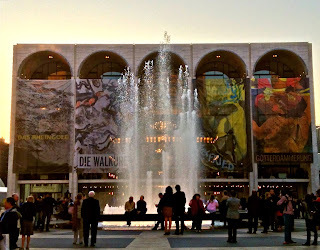 If you're a lover of the fine arts, you can attend a live performance at the famed Lincoln Center for the Performing Arts -- it's the home of the iconic New York Philharmonic orchestra, The Metropolitan Opera and the New York City Ballet. The renowned Julliard School of Music is located on the campus as well. If rock and roll is more your thing, make sure to visit John Lennon’s Imagine Memorial at Strawberry Fields inside Central Park. 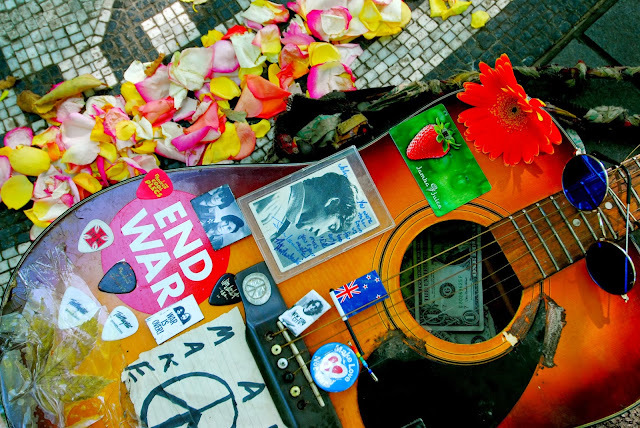 Beatles fans gather here year-round to pay their respects to Lennon's memory and reflect in this peaceful spot. 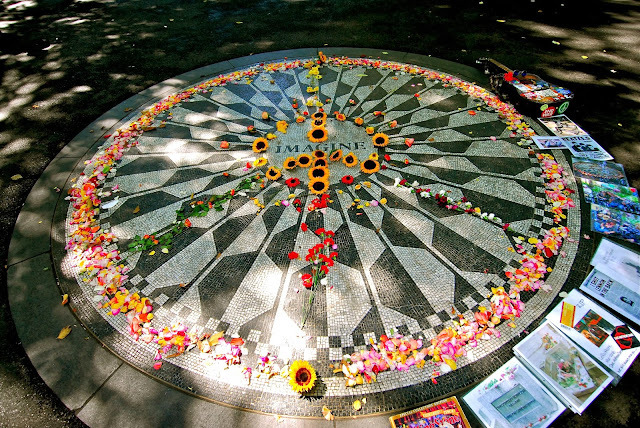 It's very easy to get to: simply enter Central Park West at 72nd Street and walk a short distance inside the park. Finally, if you’re a history lover, the American Museum of Natural History is located at Central Park West and 79th Street. The museum also includes the famous Hayden Planetarium, making this museum fun for kids and adults alike. Conveniently, there’s also a Shake Shack located directly across the street from the back side of the museum. There are several Shake Shack locations throughout New York, but this one is my personal favorite! We love to grab a Shack Burger, some cheese fries and a shake, take it to go...then sit on a bench outside to people watch while we enjoy our meal. 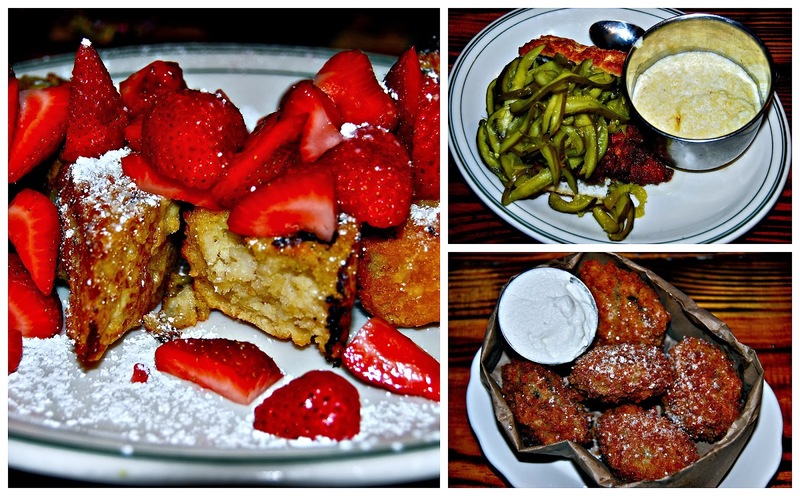 There you have it…some of our very favorite things to see, do…and eat…on New York’s Upper West Side! I know the cereal treats from Treat House had you drooling. You want to try some…c'mon, admit it! I’m excited to let you know that Treat House is going to give one of my readers a 12-treat variety pack…with any four flavors of their choice. They'll even ship them direct to your house! To enter, follow the instructions in the Rafflecopter box below. The giveaway will run through this weekend, and the winner will be announced next Monday. Good luck!! Disclosure: Jacob's Pickles, Treat House and RedFarm provided us with meals to facilitate inclusion in this article. We received no further compensation, and all opinions provided are my own. All photographs are copyrighted by Michael K. Garcia. They may not be copied or otherwise used without prior permission.